There’s no arguing it’s tough to get old, unless you’re a muscle car. For some reason the shine never seems to wear off muscle cars. They are the most collected, most restored, and, arguably, most revered of the automotive generations. They are so well-loved that manufacturers decided to give some of them a rebirth, incorporating a crossbreed design between old and new, driving them straight back to their roots. It is only that passionate love for this genre which could have given them this triumphant rebirth. Well,…that or some marketing director just wanted a way to increase sales by tugging on the heartstrings of middle-aged men. Either way, welcome back muscle-maniacs. 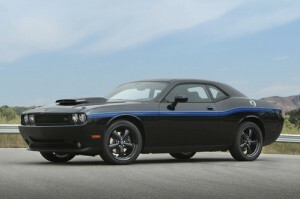 Here are the best muscle cars of the 2011 model year, researched for you at Car and Driver, Consumer Reports, Edmunds, and Motor Trend. Yes, if you go by raw power numbers, this category should technically go to the Corvette ZR1. 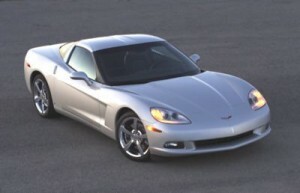 But in terms of acceleration, driving experience, and price, we’re going to stick with the Z06. It still manages a tremendous 0-60 mph time of 3.9 seconds (The ZR1 managed to shave only one-tenth off that time, but was much faster in the quarter-mile), and it possesses nearly all the same options, gadgets, and upgrades as its bigger sister for much less money. Having a V6 Challenger was once an embarrassment; it’s now a perk. The 2011 Challenger comes with a new 3.6L V6 engine that can more than handle its duties. The ride quality remains incredibly comfortable, if not a little floaty. The Super Sport’s tuned suspension brings more responsive steering and braking, and the exterior styling is still very reflective of its 1970s predecessors. The interior still remains rather bland, but jumping up to the $43K SRT8 model will get you the 6.4L Hemi V8 and really launch you back in time. Although the Shelby GT500 has all the power under the hood, the base Mustang Coupe still has the best of everything else. 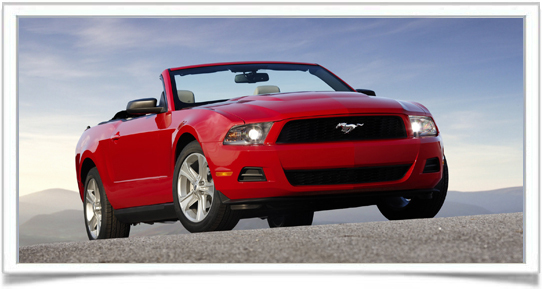 Even with the base 3.7L V6 engine, there is enough power under the hood to satisfy most drivers. Opting for the manual transmission is the way to go if you’ve ever owned a previous Mustang; it will bring back memories. Both engines were upgraded for this model year and there is a considerable difference in performance. The new electric-assist power steering feels natural and responsive, all for the right price. This is the one muscle car that really has it all. It keeps to the style of its revered ‘60s predecessors, but adds more power with a 5.4L supercharged V8. Its dash was designed to mimic the Shelby of the late ‘60s, but the bucket seats are modernly soft and comfortable. On the road is where the Shelby shows its true prowess though. It combines crisp handling and a smooth ride to produce a well-balanced feel through tight turns or on long highways. Speaking of launching back in time, revving the Shelby’s engine near the red line practically creates a time-warp back to 1967. The Charger SRT8 gets an honorable mention for the fact that it carries a 6.1L Hemi V8. In track testing it went from zero to 60 mph in just 5.3 seconds, but its unresponsive steering and uncomfortable rear seat make other options more enviable. It is also short on cargo capacity, with a 16 cubic-foot trunk. Still, it is a mean-looking car with a Hemi V8. For a very long time, that was the very definition of a muscle car.